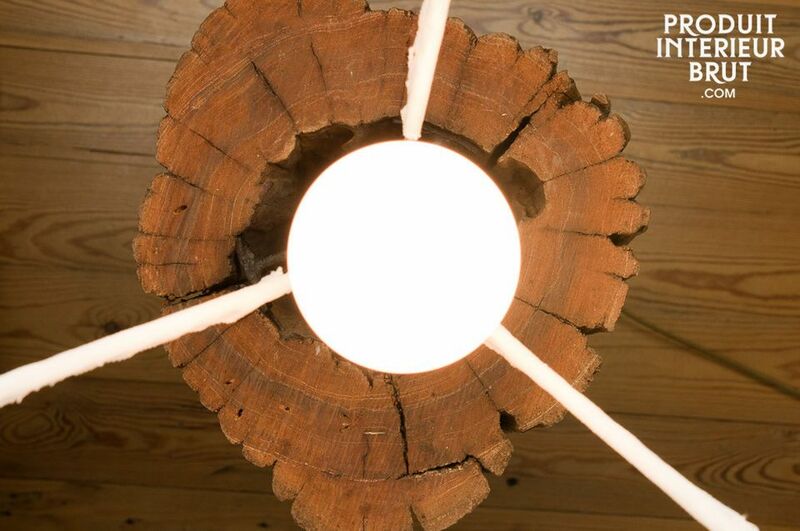 Accessorize your interior with this lamp made out of an old log, to create a natural lighting touch. 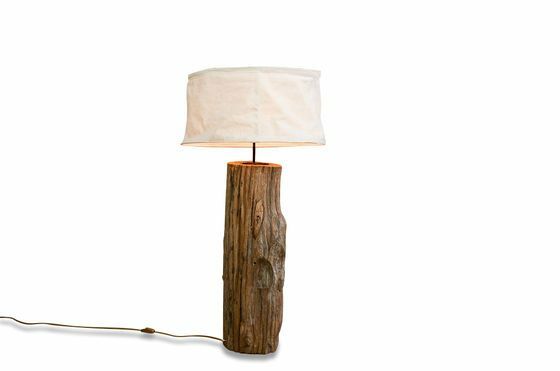 The deep wood grain and thick creamy white linen shade create a fine piece of boho chic lighting. 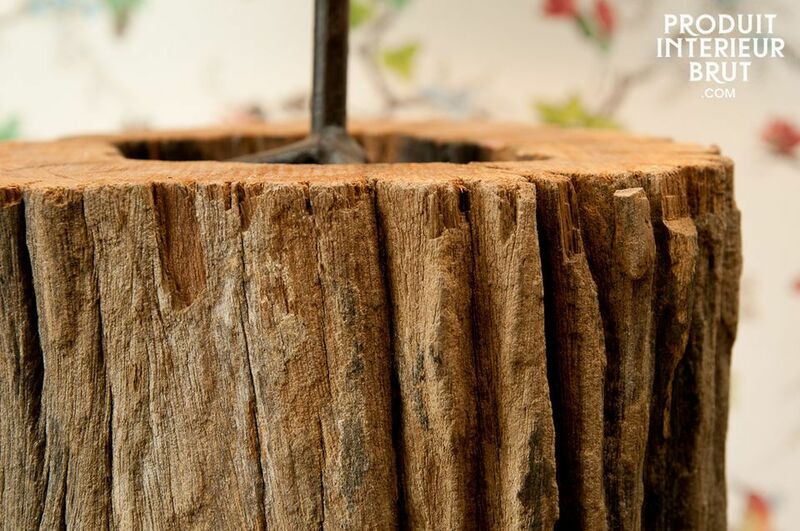 Each piece of wood is unique, with its own inherent characteristics. 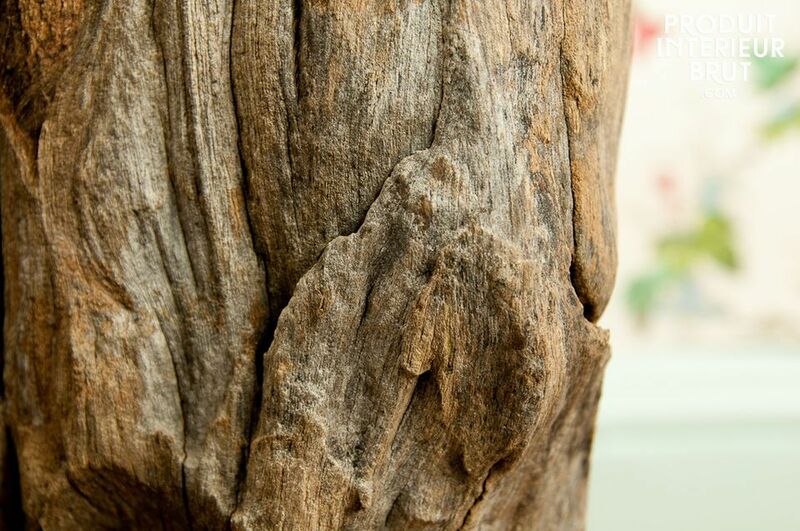 Perfectly dry, it will not crumble. 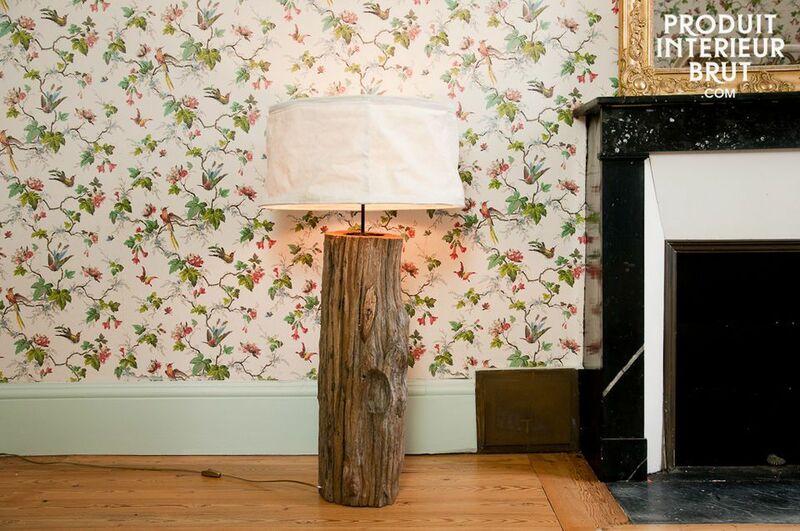 Also available with a dark blue lamp shade to special order. 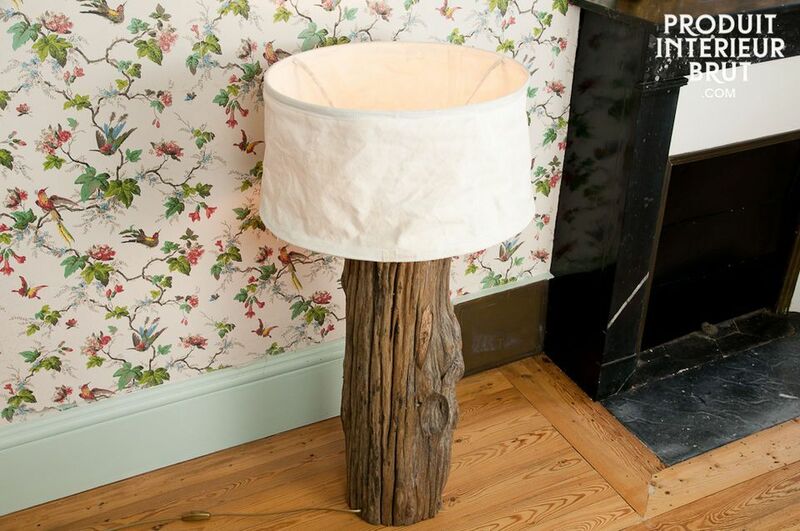 The lamp shade and base can be sold separately, click on "variations" for further details.